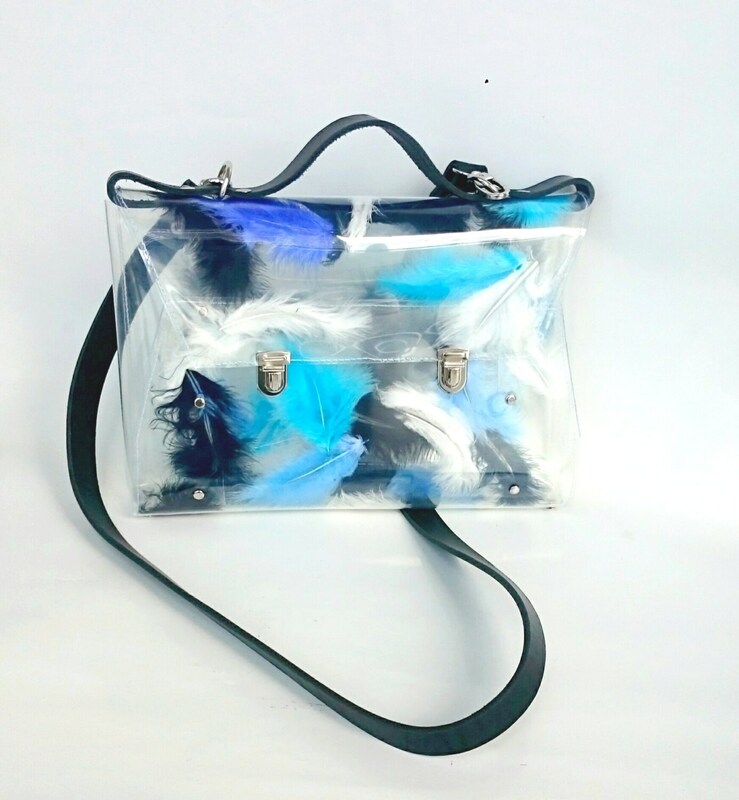 Feathers messenger bag black office bag blue serenity and turquoise accent satchel transparent satchel unique brief laptop bag graphite feathers with black leather straps. 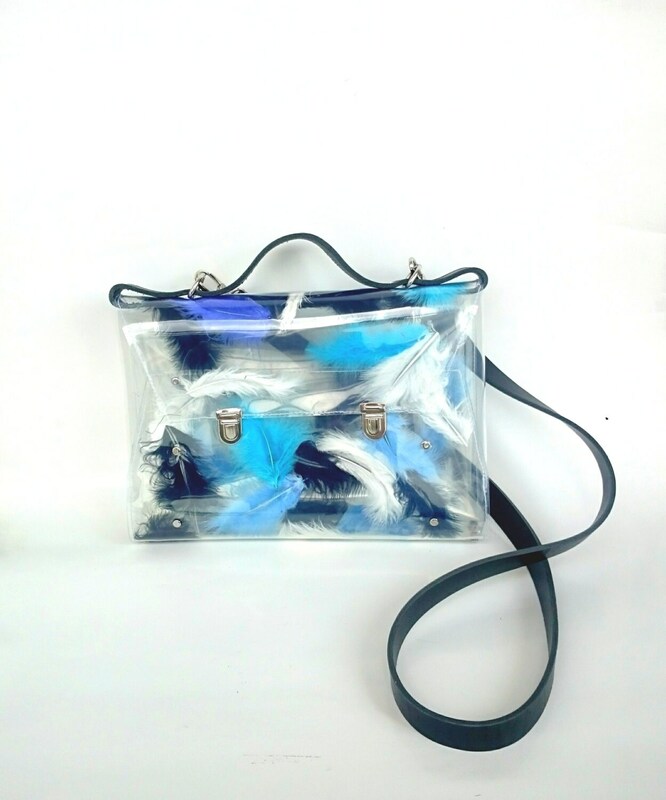 This adorable bag made of transparent, high quality , recycling, resistant and waterproof PVC, vinyl foil. Unique and modern, perfect for making the difference. 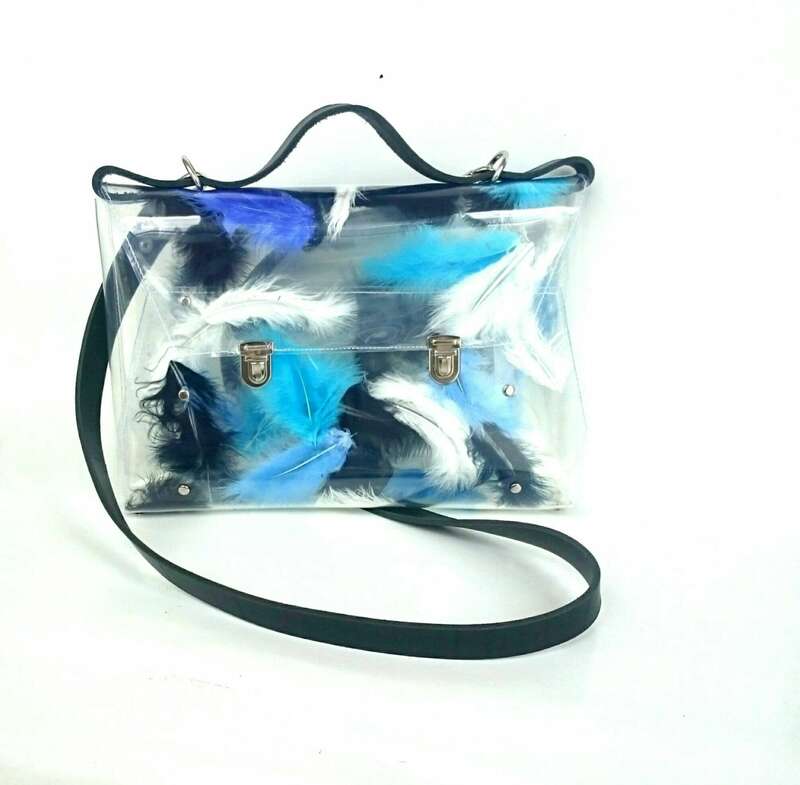 This is no orinary messenger bag :) The unique handbag, the perfect companion for exceptional women, solidly constructed, using the noblest materials. 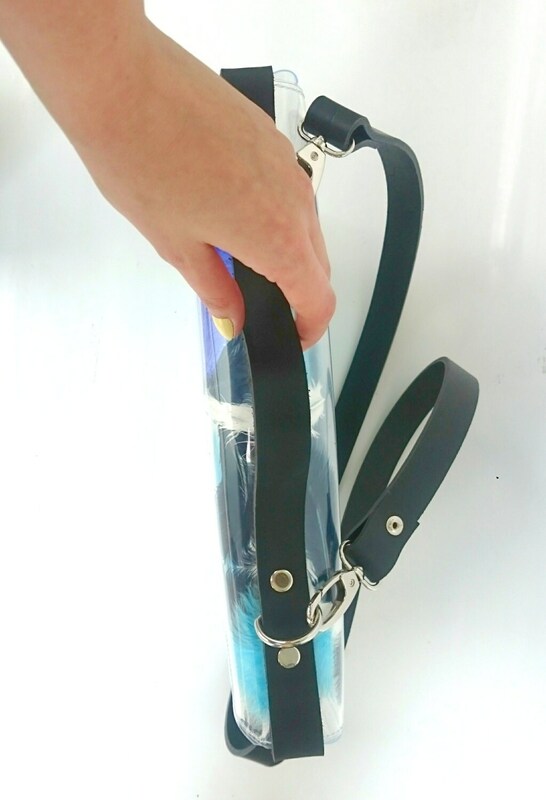 Made with the utmost precision, can be a great addition to jeans and exquisite creations. One of a kind, a perfect gift for exceptional women!